The Rochester Soccer Camp believes that the “game” is the best teacher and that philosophy is evident at our camp. Daily activities include individual ball skills, small-sided games, group tactics and learning through playing. Emphasis will be placed on individual player development, gaining a better understanding of the game and most importantly having fun! Players will be placed on teams according to age, gender and ability to ensure that campers are comfortable within their group. This also creates a healthy, challenging learning environment for each player. Campers will have the opportunity to learn from some of the best college soccer coaches and players in the region. The sessions are serious and intense, but we never lose sight of the fact that soccer is a game and the player’s enjoyment is the number one priority. The price includes a delicious all you care to eat lunch every day and a camp T-shirt. 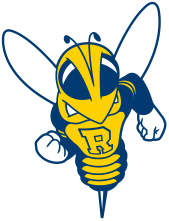 The University of Rochester provides an outstanding environment for soccer including two new turf stadium fields and a new grass field, which are all within walking distance of the dorms and dining center. Campers will also have access to an indoor field house, and additional grass fields. Daily activities include individual ball skills training, which requires every camper to have a ball. For those interested, we will be selling ADIDAS soccer balls for $30. If you would like to purchase a ball at registration, please mark the appropriate box in the online registration. You will pay for the ball at the first day of camp payable by cash or check.